Comfortable beds. Modern Hotel. Nice building. Spacious rooms. 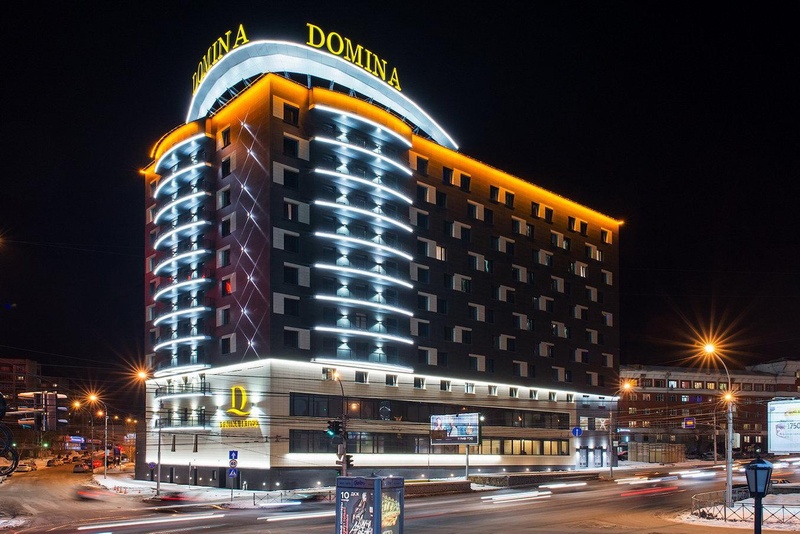 The stylish, Italian Domina Hotel Novosibirsk offers a European atmosphere for relaxation and work in the heart of Novosibirsk. 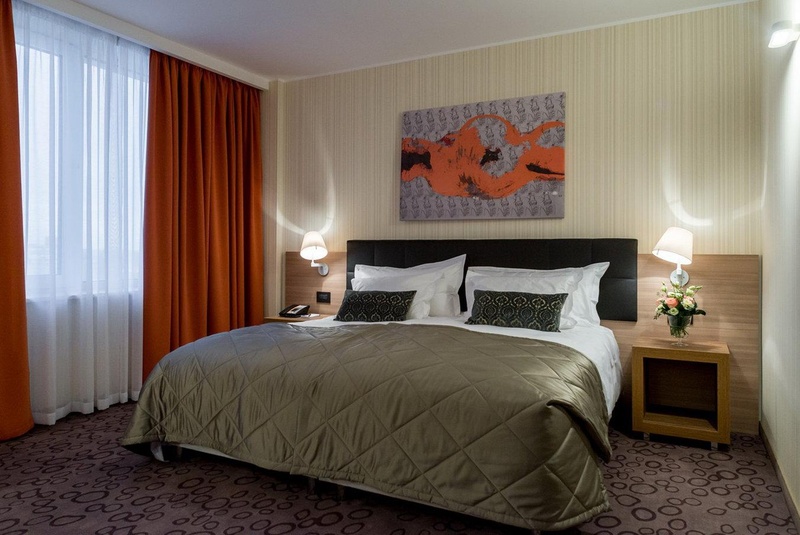 From the windows of this 11-storey building guests can enjoy a panorama of the old town and commercial district. 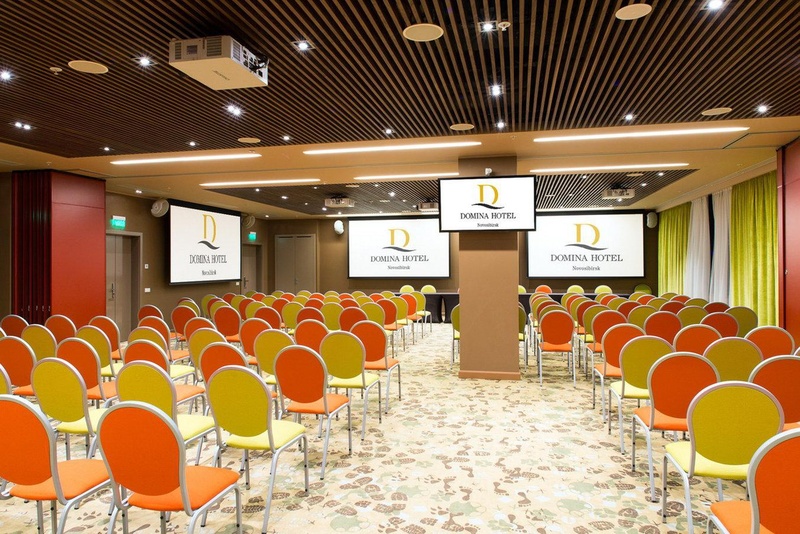 The hotel interior was designed by the Italian architectural bureau from Como, and takes the seasons as its inspiration, offering 218 spacious rooms with soft background colors and rich accents. 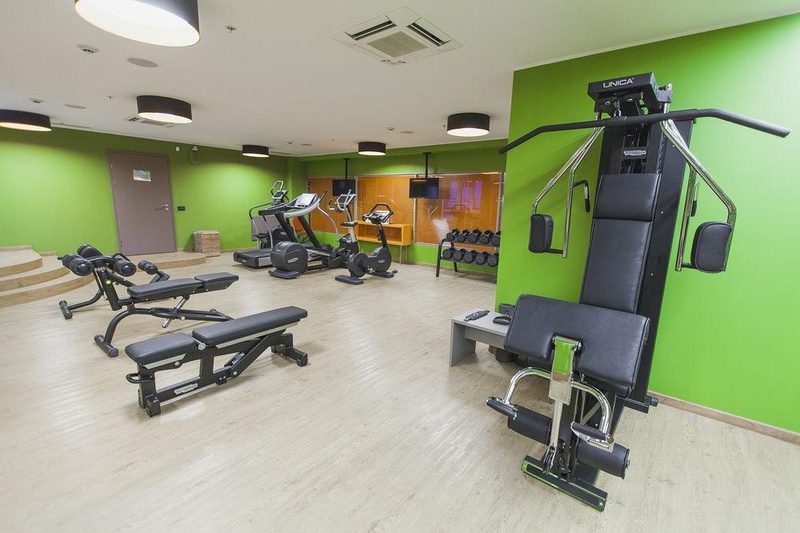 Commodities include free high-speed internet access, a fitness room with the latest generation of exercise equipment, a sauna and a Jacuzzi. 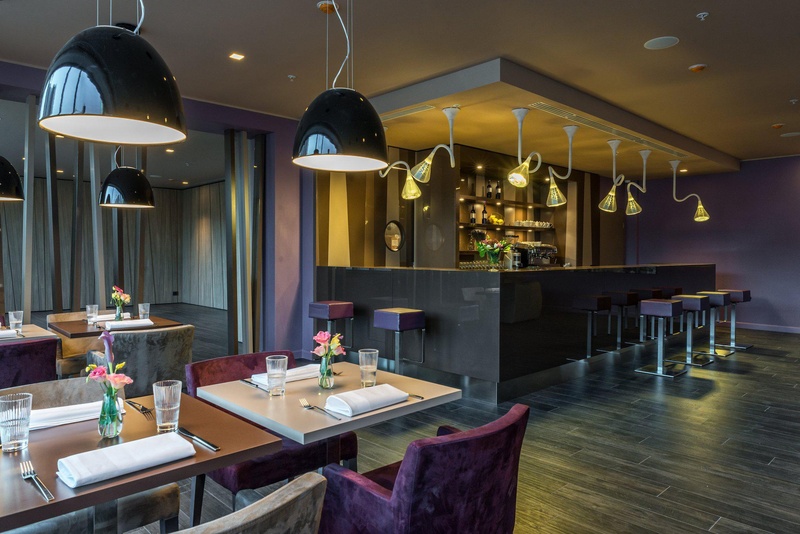 The lobby greets guests, mirroring a bright conservatory with its live trees, and the Bera bar seats 44 and stays open around the clock. Decent restaurants. Good underground garage. Good location. Stylish accommodation. Breathtaking view outside. Clean rooms. Outstanding breakfast. Great breakfast. Good breakfast. Staff competent. Good English. Friendly service.